All of us at GROUNDFLOOR are excited about our plans for 2019. Before the new year gets too much further underway, though, let’s take a look back at the progress the company made in 2018. From total investments and interest paid to loan originations and principal repaid, 2018 was another record year that set the stage for even more to come this year. Check out our graphical summary below to put it in perspective. Our community expanded and continued to spread the word about GROUNDFLOOR’s innovative investing platform in 2018. The number of investments on our platform grew by 175%, from 52,153 in 2017 to 143,611 in 2018; and the average number of investors per loan shot up to 285. With 325 loans originated in 2018, we offered our investors an unprecedented array of loan yields, grades, and types, allowing greater portfolio diversification on the platform than ever. Our loan origination volume nearly doubled to over $55 million. Average loan size increased by $24 thousand to almost $170 thousand. We repaid over $1.9 million in interest on 211 loans to our investors in 2018. On an annualized basis, we delivered a 10.72% average rate of return1 on over $26 million in principal. Our underwriting and asset management teams continued to perform well, with only 13 of 211 loans subject to fundamental default and 59 subject to workout.2 Our asset management team also revamped our risk management and underwriting processes, resulting in more rigorous standards that have made a big difference for our investors. For more information about our asset management processes, please refer to our blog post. For more information about the performance of our loans up until 2018, please refer to our most recent diversification analysis. The numbers tell just part of the story. We also made some important, foundational strides to cementing the long-term growth and expansion of GROUNDFLOOR. In 2018 we were proud to add a number of features and improvements to our core products. These include additional support for business bank accounts, monthly payments, self-accreditation, broker onboarding and quick quoting, closing automation, and batch investing. We also added two completely new loan types: New Construction and Buy, Renovate, Rent, Refinance (BRRR) Loans. These two new options have been met with an extremely positive response. Additionally, we piloted programs in Washington, DC, Nashville, and Atlanta to trial new methods for going to market. Our lessons learned have informed plans for expanding our local sales and marketing efforts in selected metro areas in 2019. Finally, our regulatory qualification to launch GROUNDFLOOR nationwide tripled our reach, increasing our addressable investor base from 79.6 million to over 240 million under Tier II of Regulation A.
GROUNDFLOOR itself experienced significant growth in 2018. We achieved a 79% increase in our year-over-year revenue in 2018. Our team expanded to over 50 employees, as we built out key departments such as sales, marketing, and software development. Upon graduating from Georgia Tech’s prestigious Advanced Technology Development Center program as a Signature Company, we relocated our office to Atlanta’s iconic Bank of America Plaza building. We’re slowly making it our new work home, personalizing it with productivity-enhancing amenities like a mini putting green, a kitchen full of healthy snacks, and a nap/wellness room. In fact, Atlanta Inno profiled our new headquarters for their Office Envy series in December! Our friends and family were likewise impressed during our inaugural Friends of GROUNDFLOOR Cocktail Party in November, where we welcomed around 100 guests to our new building. We were thrilled to raise $4.2 million from our online public offering last year, bringing the total money raised from our 2017-2018 campaign to $6.2 million from 2,304 investors. This financing was put to immediate use addressing hiring and lead generation needs, expanding product development, and continuing regulatory development to support new product features and enhancements. 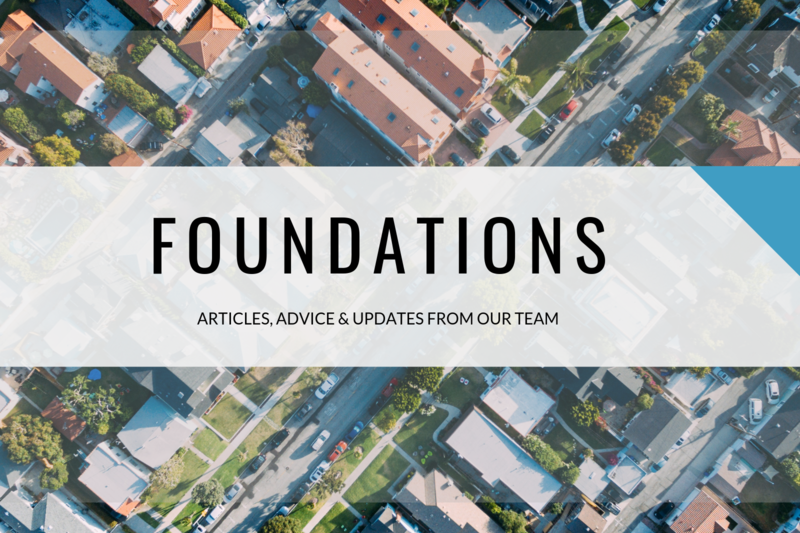 Whether you’re a investor, borrower, partner, or friend, we thank you for your continuing support and interest, and invite you to participate by posting comments and questions below, emailing us directly at founders@groundfloor.us or contacting our support staff at support@groundfloor.us.